If you live in Holt, Michigan, you know how hot the summers can be, and how cold the winters are. Because of this, it is important to have the best service for your HVAC systems to keep your family comfortable throughout the seasons. 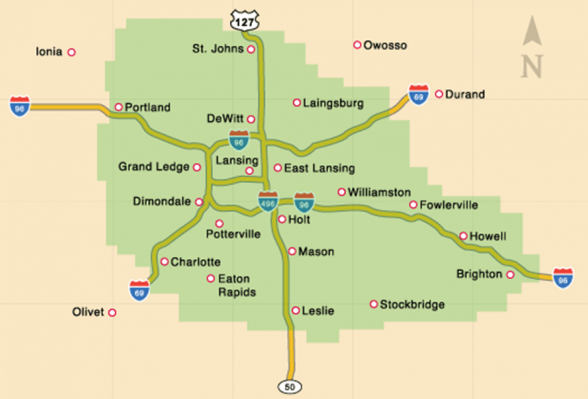 Applegate Home Comfort is Michigan’s best provider of heating and cooling services. Our team of trained experts are dedicated to delivering quality service that saves you money and frustration. Quality is in our history, and with over 60 years of experience in the industry, we are proud to say that we’ve left a long trail of happy customers behind. Here’s a look at our heating and cooling services, and how you can get in contact with us. Your furnace is the heart of your home’s heating systems. Your furnace should be maintained throughout the year, even when not in use to keep it in good condition. Before the start of each winter season, you should also have your furnace checked out by a professional to make sure that any hidden dangers or potential problems are resolved before firing it up for the winter. A professional can also help you optimize your furnace and home heating system to run more efficiently. This will not only save you money from energy costs, but will extend the life of your unit, preventing a premature need for a replacement. If your furnace is not heating your home how it should be, is making strange noises, or is behind on its maintenance schedule, give us a call. We will help you take care of your furnace so it will keep you warm for many winters to come. Your air conditioning unit is incremental to keeping your family cool in the summer. It is also important for controlling humidity. Excess humidity and heat can lead to the growth of mold and mildew, both of which can cause health problems and structural damage to the home. Avoid these problems with a properly functioning home cooling system. Make sure that you get your units checked out by a professional before you begin to need it in the late spring. Just like with a furnace, an air conditioning unit should be maintained even when it is not being used. If your air conditioning system is not working well, or you would like some help lowering your summer energy bill, Applegate Home Comfort can help. If you are looking for quality heating and cooling services in Holt, Michigan, look no further than Applegate Home Comfort. Give us a call at 517-337-7700 or contact us here for a free quote and to schedule a visit. We are also available 24/7 to pick up the phone in case of an emergency.